As time-saving and convenient as your sprinkler system is, sometimes parts wear out, burst, or, well, stop working altogether. If you've invested in a sprinkler system, then it’s imperative that you know how to deal with sudden sprinkler breakdowns. Here are few problems you might run into; don’t panic, as it’s usually a quick fix. Loss of Water Pressure – At first glance, it looks like nothing is coming out of your sprinkler. Did you forget to turn it on? Nope... the faucet is on and pumping and yet your system is silent. Upon closer examination, you see a small stream trickling down the sprinkler head. This could only mean one of two things: either your sprinkler head is blocked or the water pressure is low. Let’s go with the latter. Low water pressure can be the result of a few things. First, check pipes and hoses for cracks and leaks, as this can be common with underground systems. If you have an above ground system, double check your hosing to make sure there are no kinks. Sprinkler won’t turn on – If you've checked your sprinkler heads and no water is trickling out yet you’re sure that the system is on, it can only mean one thing: your solenoid is bad. The solenoid is the part of your system that turns the water valve on and off. Two wires stretch from the control panel to the valve, and if these wires are pulled free or if the solenoid is bent or bowed, it will not function properly. 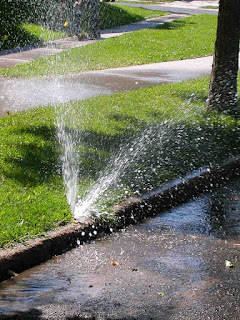 Water Everywhere – Your sprinkler is suddenly spraying a chaotic mess of water all over the yard, driveway, and sidewalk… why? 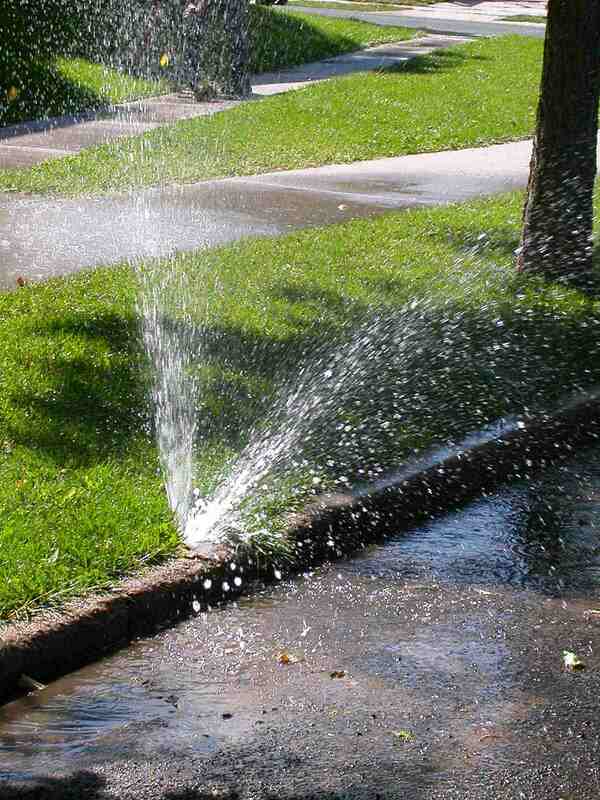 This problem is usually caused by cracked sprinkler heads or seal failure. When a cracked sprinkler head causes water to be tossed into the road and onto the sidewalk, it is not only annoying for motorists and pedestrians but also costly on your end. Stop wasting water and replace your sprinkler head as soon as possible.